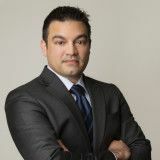 Chad C. Silver, Managing Partner of Silver Tax Group is one of the most aggressive and respected tax attorneys in the United States. He specializes in tax defense work and has achieved numerous successes for his clients. Focusing his practice exclusively on tax matters, he provides representation in matters involving IRS audits and negotiates settlements and compromises with the agency on behalf of his clients. Mr. Silver also handles litigation in the United States Tax Court as well as criminal tax defense. With an aim to educate people about tax issues, regulations, laws and their rights, Mr. Silver published a book called "Stop the IRS" in 2014. His excellent ability as a tax attorney is evident in his track record of success. In one representative matter, Mr. Silver was able to negotiate with the IRS to reduce a tax debt from $682,437 to zero. In another matter, he was able to persuade the IRS to give his client a status of hardship and currently non collectible for a $167,000 tax debt. Mr. Silver received his Bachelor of Science in political science from Oakland University in 2000. 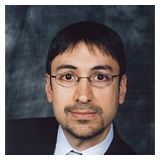 He then pursued his legal education at what is now known as Western Michigan University Thomas M. Cooley Law School and was awarded his Juris Doctor in 2007. 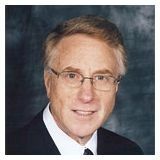 An active participant in the Taxation Section of the State Bar of Michigan, Mr. Silver is admitted to practice in Michigan and before the United States Tax Court. A strong believer in the importance of giving back to his community, Mr. Silver donates his time and services to several charitable organizations. He has provided pro bono services to Friends of the Macomb County Veterans' Treatment Court since 2011. He has also donated time to the Public Broadcasting Service as well as to the Anti-Defamation League. We accept all forms of payment and work within your budget to establish a reasonable payment plan. We do not charge large hourly fees. Attorney Chad Silver from The Silver Tax Group answers your questions about what the IRS can and can't do if you owe them money. Q. what is the best way to report unreported income for small business that has gone for many years. what kind of lawyer? A: A Tax Attorney would be the best professional to guide you through this process. It is very important the matter is handled with someone you have an Attorney Client privilege with. You can contact our office at 855-900-1040. Q. I just received a notice saying I owe GA state taxes from 2012 , this is the first time I have heard from them. Q. I have a signed 8332 and divorce decree grants me to claim child on taxes. Can I still claim if I have arrears balance? Q. We need help understanding Arkansas Code 26-36-301 as it applies to our specific situation. A: If there was judgment on the balance owed against you it would be very difficult and costly to dispute. The smartest way to handle that would be good tax planning to ensure you have no refund coming back at the end of the year for the creditor to intercept. If you can ensure the tax withholding from your pay-stubs are proper along with estimated tax payments, it is likely no money can be intercepted. Q. Can my current wife and I gift my townhome to my son and his mother, my first wife without paying a gift tax? Q. Hello. Does a person in a long term care inpatient facility in NY have to pay taxes? SS, 401K, pension? A: The only legal tool to stop collection activity would be to have an Tax Attorney negotiate a hardship status with the IRS. Just because she was admitted to a long term inpatient care facility does not negate the legal duty to pay taxes. However, there are a number of avenues available to prevent collection of the taxes, reduce tax liability, and adjust tax witholding. Please give my office a call at 855-900-1040 and I'll be happy to speak with you about this. Best, Chad Silver, Esq.